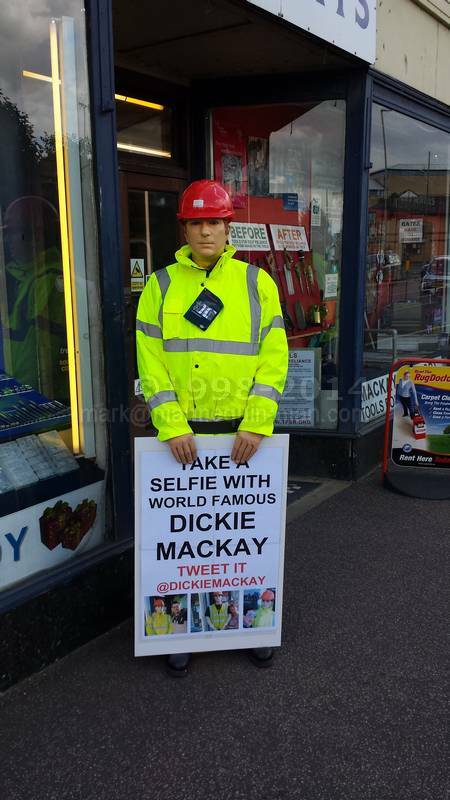 A regular fixture outside Mackays of Cambridge is Dickie the mannequin, he has been standing in all weathers for many years now. 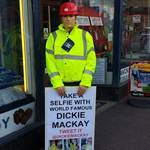 Recently he has also become a twitter phenomenon, as passers-by are asked to tweet selfies with Dickie. Today however, the normally stoic mannequin, with not much to say for himself, turned the tables on the public while they had their photos taken with him, with amusing results.